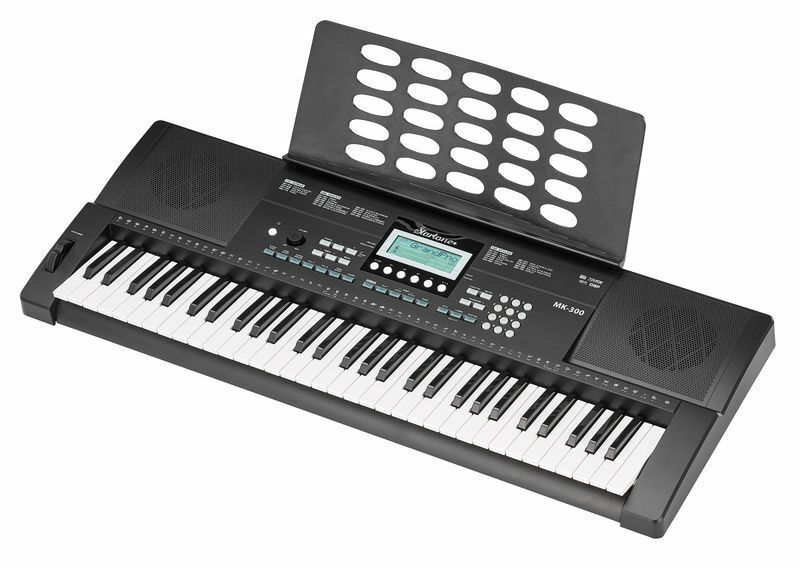 ΑΡΜΟΝΙΟ STARTONE MK 300 SET 61 keys +ΒΑΣΗ +ΑΚΟΥΣΤΙΚΑ Startone MK-300 Keyboard - 61 keys with touch response, 64-note polyphony, 390 Voices, 100 Styles, 110 Songs, 8 Demo Songs, Dual, Sustain, Lower, Metronome, 4 Registration Memory, Split, Pitch Band, Record & Playback, spaker system 2 x 10 W, incl. 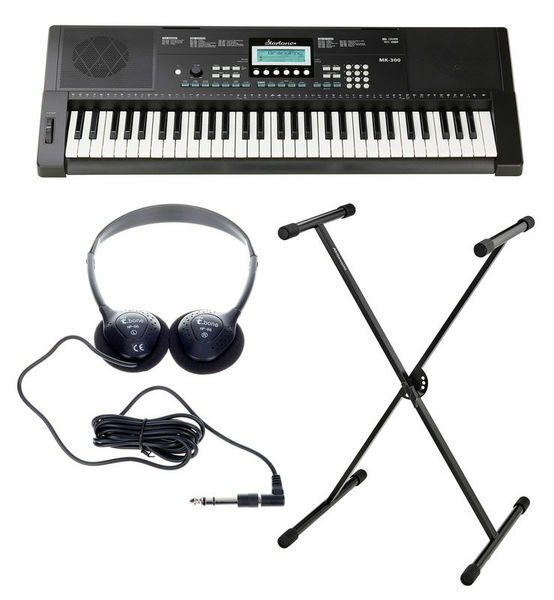 power supply, connection: headphone, Sustain, USB to Host, dimensions (B x T x H) : 955 x 360 x 145mm, weight: 4,5 t kg 1 piece Millenium KS-1001 single braced keyboardstand,max load: 25kg, quick locking mechanism, Colour: Black, height adjustable from 50cm (width 87cm) to 92cm (width 46cm), weight 3,5 kg.1 piece the t.bone HP 66 stereo headphones - 32 Ohm, 20Hz-20kHz, 2m cable. Includes 1/4" jack to minijack adapter.